When academic staff travel overseas they often want access to recent marketing material such as PowerPoint presentations and videos. This was previously handled in an ad hoc manner, often sharing through cloud drives like Dropbox. This led to problems with version control and added time through having to download large files without a preview option. I developed a central repository in vUWS where the latest versions could be shared, along with an online module showing how to insert video clips into presentations. This idea will now be used university-wide (using Confluence rather than vUWS to store the files). 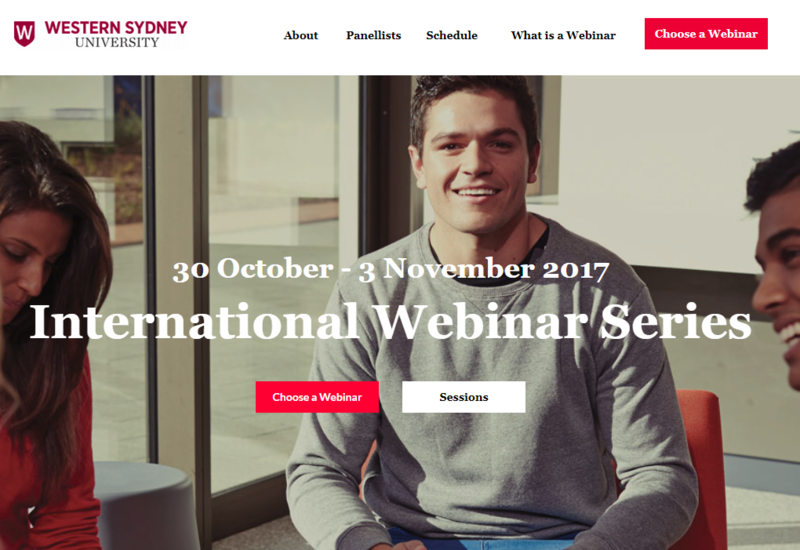 Julia Shelley, Regional Manager International, and myself were the first to organise webinars for prospective students. This allowed the DAP to highlight course and career information, while the regional manager covered issues such as applying and living in Australia. Our first webinar had only 1 student. The university now has a webinar series, which is heavily promoted through channels such as social media. In the first series over 4,000 prospective students registered.